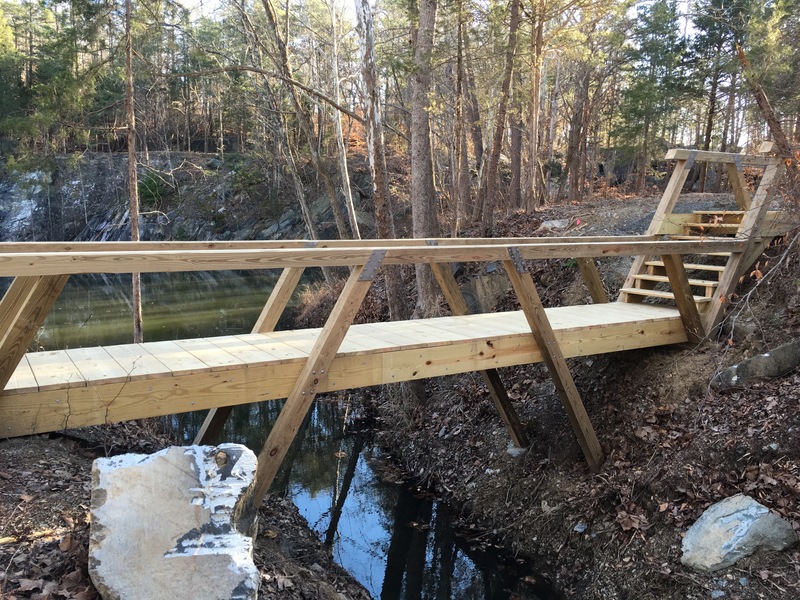 Both bridges—closing the links of the main trail—are finished. Two new pole barns are ready to shelter our work machines. And winter has set in earnestly. Here’s bridge No 1, finished, but unpainted. AJT and I have been on the road with photos and narrative of our progress to date. Two gigs in the past week: On Tuesday, we spoke to the Charlottesville Area Tree Stewards at Ivy Creek Natural Area; on Saturday, we went to Shadwell’s on Pantops to speak to the Virginia Commonwealth Unit of the Herb Society of America (some of whose members came all the way from Williamsburg). Both groups were very encouraging. Group visits to the project site are scheduled to resume in April. So far, we have booked the Charlottesville Newcomers’ Garden Group, Nelson County Garden Club, Piedmont Master Gardeners, and Virginia Herpetological Society. We learn and make valuable contacts from every presentation and visit. 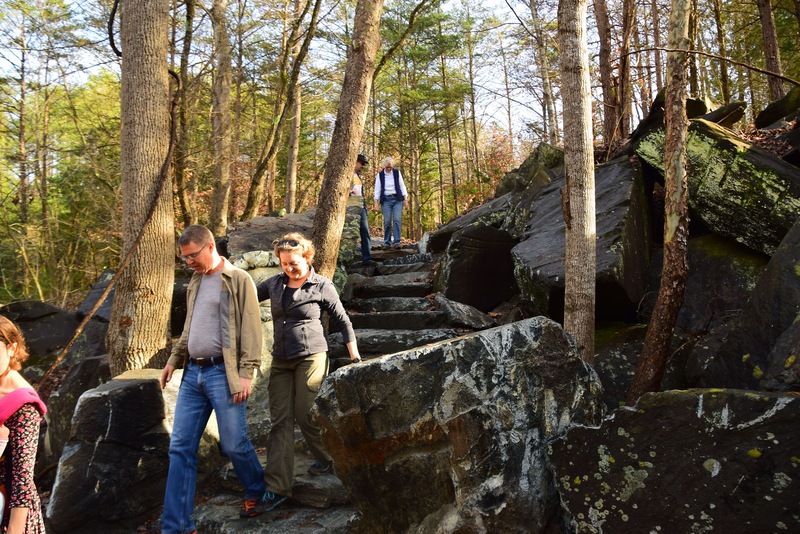 Among visitors to the site over the recent holidays were our old friends, the Verkerke family, some of whom are shown here descending the rock stair.